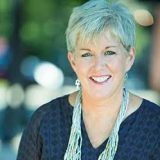 JoDee Curtis, Founder of Purple Ink and author of JoyPowered™: Intentionally Creating an Inspired Workspace, talks about creating a dynamic and inspired workspace. JoyPowered™ helps organizations and individuals understand how to structure their relationships and environments to focus on their strengths, bringing out the best in others and themselves. Most people settle for a tolerable workplace, but JoDee challenges you to help make yourself and your workspace JoyPowered™! It starts with you, and with understanding your strengths! Prior to founding Purple Ink in 2010, JoDee spent 21 years in public accounting as a practicing CPA and as a Director of HR. JoDee also has experience as a CFO and controller thereby bringing a unique financial and overall business approach. JoDee obtained her bachelor’s degree in business administration from the University of Evansville. She is a Certified Public Accountant, a Senior Professional in Human Resources, a SHRM – Senior Certified Professional, and a Gallup-certified Strengths Coach. She is a faculty member for National SHRM.